For bulk and bagged landscaping materials delivery in Millcreek, trust The Dirt Bag. Locally owned and operated, we have forged a strong reputation in the community for our exceptional quality and low, low prices. And we offer free delivery of our bagged garden soil, mulch, compost and more for our clients in Millcreek Utah and throughout Salt Lake County. We also sell our products in bulk, for those larger landscaping projects. If it’s Utah native turfgrass you’re looking for, we are also the region’s foremost sod supplier. Our Kentucky bluegrass sod is designed to thrive in northern Utah with minimal time and effort. The Dirt Bag delivers a variety of bulk landscaping materials to our customers in Millcreek. Sold by the cubic yard, you can choose from gravel, pea gravel, cobble and multiple types and colors of mulch. We also deliver bulk quantities of our organic garden soil and compost as well as Utelite soil conditioner, screened topsoil, play sand and wood chips. You can call us or stop by the yard to place your order, and so we can give you a quote on the cost of delivery. We will get your products delivered to the location of your choosing in no time. The Dirt Bag is known for our exclusive Kentucky bluegrass sod, cultivated for our climate. Grown locally and harvested only after you place your order, this lush turfgrass goes down easily and requires minimal water and maintenance. Our minimum sod order is approximately 2,160 square feet (four pallets). The turf is harvested and delivered in 10 square foot rolls, to make installation a breeze. Order 10,000 or more and we will deliver free to your Millcreek location, or anywhere in Salt Lake County. Of course, we saved the best for last – we will deliver our bagged garden soil, mulch, compost and more for free to Millcreek customers. Our famous Dirt Bags have a one-cubic-yard capacity. They’re resealable, reusable and highly durable, perfect for all kinds of uses around your home. Or, if you prefer to recycle your bags, you can return them to us (in good condition with no tears or holes) for a $5 per-bag rebate! Customers love our bagged products not only for their exceptional quality and low, low prices but also for the convenience. 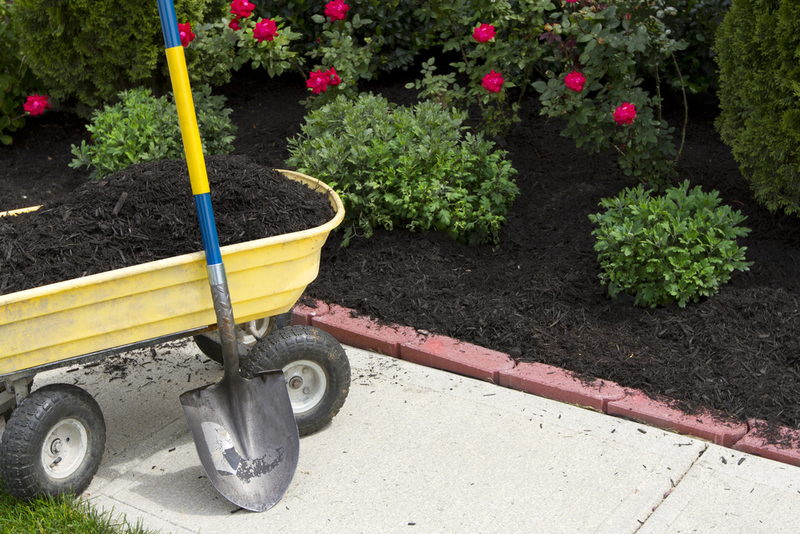 No more breaking your back as you load, unload and carry bags of garden soil, compost and mulch. Simply tell us where you want your Dirt Bags unloaded and placed and you’ll be ready to get started with your landscape and garden projects. Contact The Dirt Bag today to learn more, or to get your custom quote for delivery of bulk or bagged landscaping materials in Millcreek, Utah.